Calling all nurses, nutritionists, speech pathologists, psychologists, neuropsychologists, pharmacists, dieticians, dental hygienists, early childhood educators, occupational therapists, social workers, pre-health students – OK, pretty much all aspiring and experienced health professionals who enjoy traveling: You’re needed! Global Volunteers’ medical and health volunteer abroad programs offer the opportunity to enhance your global perspective while supporting international medical care, hygiene campaigns and healthcare education. Work alongside local caregivers, healthcare professionals, families, teachers and community leaders at the frontline of promoting better health, nutritious food and disease prevention. We have over 30 years of experience in organizing volunteer abroad programs – with thousands of healthcare professionals joining us. We also offer medical and health volunteer abroad programs to aspiring medical professionals – pre-med, pre-health and pre-nursing students. The scope of your volunteer work depends on (1) what our host communities have requested from us and (2) your specific interests, experience and qualifications. Global Volunteers’ unique philosophy of service requires volunteers to work at the invitation and under the direction of local community partners – and one-on-one with local people. If you have an area of expertise in a specialized field, contact us using the form at the bottom of this post. While remaining faithful to our philosophy of service, our Volunteer Coordinators will help you select a project. Learn more about our medical and health volunteer abroad opportunities available in the project descriptions below. Program fees: From $1,995 to $3,195 – depending on the service program location and duration. Tax-deductible fees include food, accommodations, ground transportation, team leadership, project materials and program coordination. Plant and maintain earthbox container gardens, and teach these skills to families. 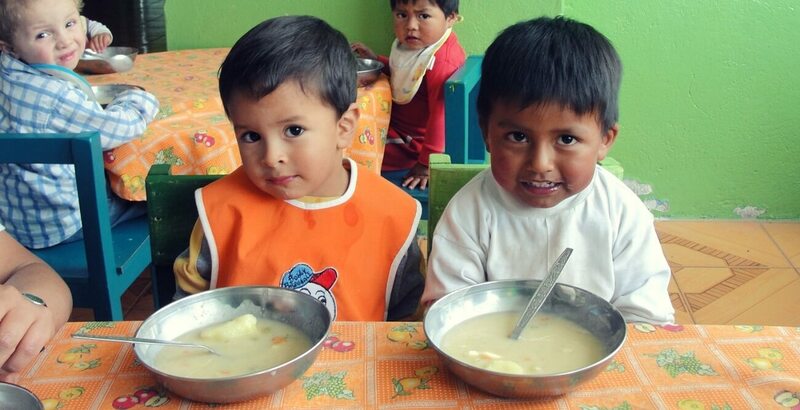 Provide nutrition education and teach healthy meal preparation in schools, clinics and community centers. Construct rainwater catchment systems, build fuel-efficient stoves and plant trees. Program fees: From $1,045 to $3,095 – depending on the service program location and duration. Tax-deductible fees include food, accommodations, ground transportation, team leadership, project materials and program coordination. Non-invasive assignments include pre- and post-natal counseling, pediatric care, maternal heath and nutrition, breastfeeding support, physical therapy, diabetes screening and education, dental hygiene, proper hand-washing, first-aid training, disease prevention, HIV AIDS & STD education, eye exams, blood pressure checks. Care for and stimulate children one-on-one in classrooms and daycare centers – through arts and crafts, reading storybooks, music and games, and model handwashing with soap and water, brushing teeth, and other life skills. As a Global Volunteer, you invest in the future through the youngest of citizens. Global Volunteers is also experienced in organizing volunteer opportunities for students and/or professionals looking to travel together as a group.